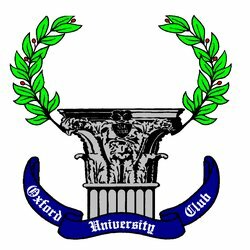 Located on the Historic Oxford Square, The Oxford University Club features three levels of fine dining. Each floor offers a unique dining experience. The second floor grill offers a casual atmosphere. Our Magnolia Room hosts numerous Civic Club meetings as well as private functions. The third floor is an airy, beautiful, and quiet area where daily white clothed lunches and dinners are served. Our admirable Sunday Brunches are also held on this floor and we welcome children. Our front and side balconies are wonderful for al fresco dining. The exquisite rooftop, with gazebos, provides the finest outdoor space with an exceptional view of the historic Square.